Founder Turmoil at the Conservative Nonprofit Eagle Forum: Who’s in Charge Here? Founder troubles can plague all kinds of nonprofits. Founders often become founders because they have a combination of charisma and will, and the result can be both highly attractive and highly distressing. 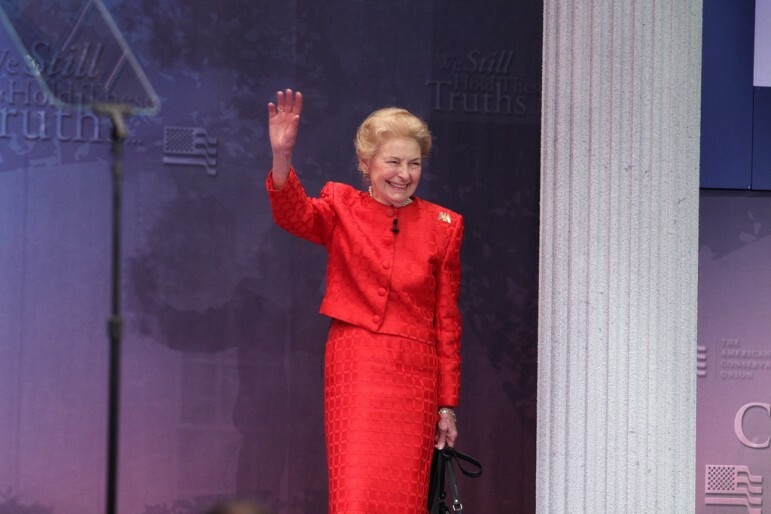 Conservative campaigner Phyllis Schlafly claims she is still at the helm of the Eagle Forum, which she founded in 1972 to successfully oppose the Equal Rights Amendment (ERA). The group has more recently been active against marriage equality, abortion, gun control, and tax increases. But six of 11 of the board members (now dubbed the “Gang of Six”) claim she is out. Schlafly says she objects to the validity of their decisions to oust her and the president Ed Martin. Making the whole scene more excruciating is the fact that Anne Cori, Schlafly’s daughter, is one of the six board members (rogue, according to Schlafly and Martin) taking the action. The imbroglio has been blamed on Schlafly’s endorsement of Donald Trump for president in January after high-ranking staff had already voiced support for Ted Cruz. Some believe the 91-year-old was manipulated into making the endorsement, a suggestion some call highly disrespectful. Schlafly’s decision prompted Cathie Adams, a veteran Eagle Forum member and onetime chair of the Texas GOP, to claim that Trump had capitalized on Schlafly’s old age to earn her support. The “rogue board members” deny that the issue at hand is the endorsement of Trump; rather, they claim it’s Martin’s style of management that is in question, and that he is acting as Schlafly’s mouthpiece in order to seize control of the group. “So we’re cooking, and I hope you’re with me all the way,” Schlafly said.